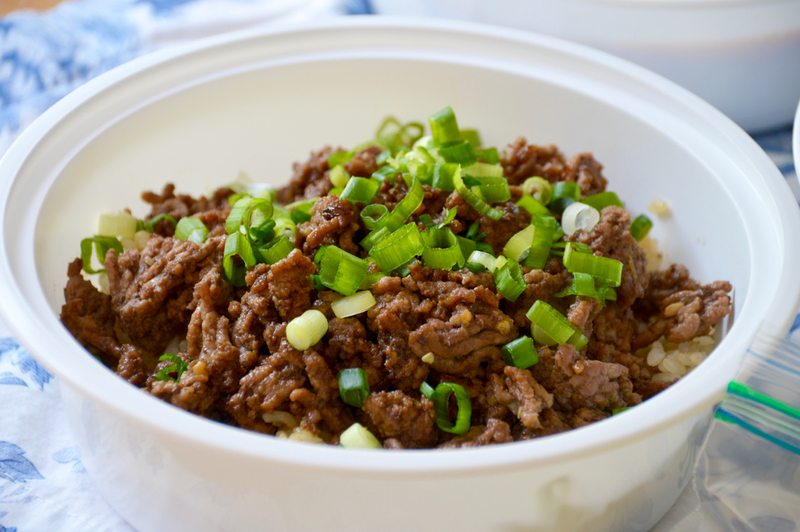 When I was in college, one of the cheapest dinners I made was just ground beef with sauteed onion served over brown rice. Simple, delicious and satisfying. Since college though, I have apparently refined my taste buds and graduated to flavor-town (do I sound like Guy from DD&D's?!). All you need for the sauce is a little brown sugar, soy sauce, sesame oil, ginger, garlic, red pepper flakes and some freshly sliced scallions. Brown up your meat, pour the sauce over, nuke the rice in the microwave (I love the frozen Trader Joes rice) and bam! Dinner in less than 15 minutes, and so so delicious! This is also featured on my Meal Delivery Menu, because it freezes well and keeps in the fridge for a few days. If you are interested in learning more about my meal delivery services, please click here. Heat a pan over medium-high and add a small amount of oil to coat the pan. Once the oil starts to shimmer, add the garlic and stir quickly, only letting it sit in the oil for 1 minute, then add the beef. Cook beef and break it apart with a wooden spoon. In a bowl, combine sugar, soy sauce, sesame oil, ginger and red pepper flakes. 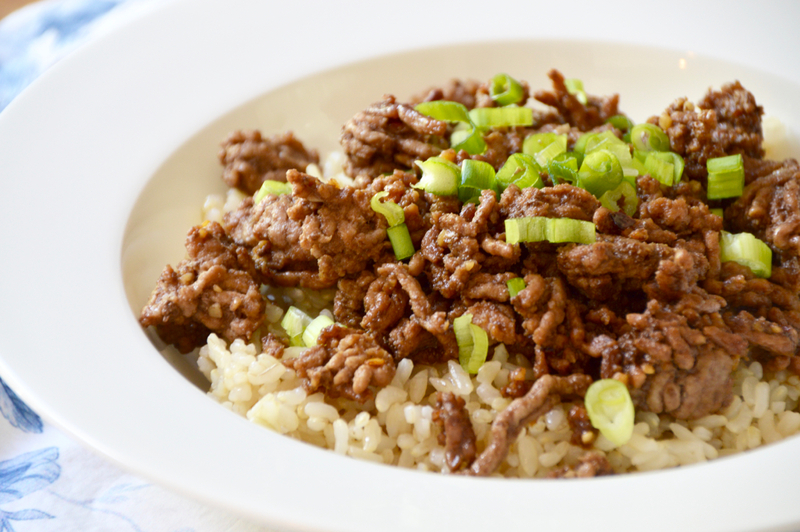 Once beef is cooked, add the sauce and stir to combine everything. 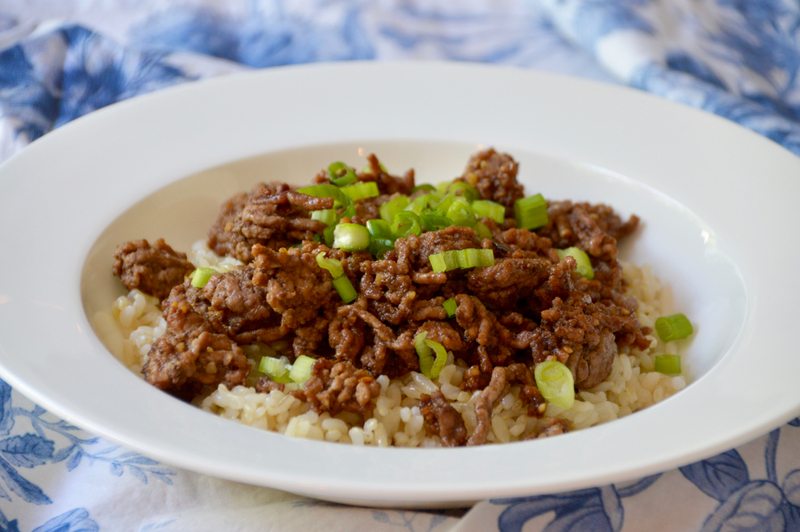 Serve the beef over brown rice with extra pan drippings and a sprinkle of scallions.